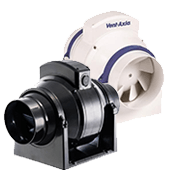 The 'eMF' high efficiency in-line mixed flow duct fans are designed around a high efficiency, high pressure development mixed flow impeller, offering a very compact design with high performance and low sound levels. 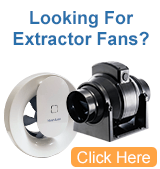 The in-line fan is constructed from steel and incorporates an aerodynamically designed airflow guide vane to ensure maximum performance from the unit. 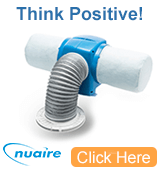 All models offer minimum space requirements for installation & are designed for simple installation into duct ventilation systems via the included mounting foot. All units are suitable for vertical or horizontal mounting. 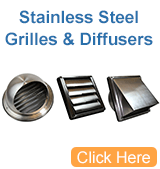 The range is available in 15 models, covering sizes 355, 400, 450, 500, 560, 630 & 710mm diameter. 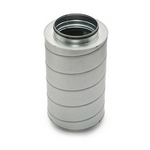 The range shall provide a performance from 0.06m3/s to 5.63m3/s with a maximum pressure development of up to 1200 Pa. 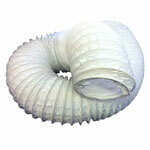 The impellers shall be aerodynamically designed high efficiency mixed flow type, manufactured from steel or polyamide. 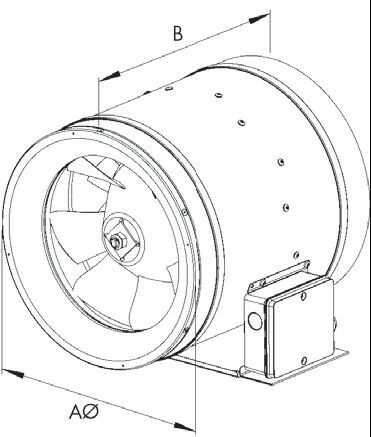 The motor and impeller shall be factory matched, statically and dynamically balanced to ISO 1940, Grade G 2.5.
to 80 °C (see technical data). The range shall incorporate maintenance free motors, fitted with sealed for life ball bearings, ideally suited for speed control. Single phase 230V units by auto transformer control, 3 phase 230V or 400V by frequency Inverters. Motor protection by means of a thermal contact switch incorporated within the windings shall be provided to prevent motor damage due to overloading/overheating. 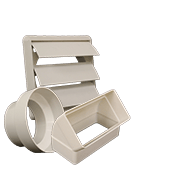 All single phase units are supplied with an IP44 terminal box as standard. All three phase units are supplied with a 2m long flying lead. 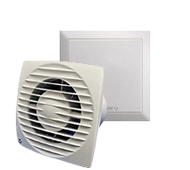 The fan performance is in accordance with tests to BS848 Part 1 1980, with the fan sound levels measured in a reverberant chamber in accordance with BS848 Part 2 1985. Design and manufacture is in accordance with the standard for quality management systems BS EN ISO 9001:1994.